Now offering a $500 DISCOUNT off LATE SUMMER weeks between 8/20 - 9/10 and a $250 DISCOUNT off FALL weeks between 9/17 - 10/29 if you book in the next 2 weeks! The Late Summer and Fall offer the BEST VALUES of the year since you get GREAT BEACH WEATHER, MUCH LOWER RATES, and MUCH SMALLER CROWDS! We love the FALL in Destin so much that we take our 3 kids out of school every year to do down in Sept or Oct - trust me it is well worth it! Please call Craig at Call / Email Owner anytime day or evening if you have any questions about our family's vacation home or if you would like to reserve a week! 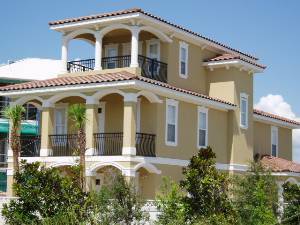 "Down By The Sea" is a NEW 5 bedroom & 4 bath Luxury Beach Home that includes 3 King Suites, spectacular Gulf views from the 2nd & 3rd levels, a large Private Pool with a one-of-a-kind shallow kids play area (i.e. only 16" deep) that is perfect for toddlers and small children, 2 heated community pools, private beach access to Destins famous sugar white sand beaches, and is located in an exclusive gated Destin neighborhood just steps from the sugar white sand beach! This home is custom built for 1 to 3 adult families that each want a Master Suite / King bedroom for themselves, 2 bedrooms for the kid's, a crib room for up to 2 babies, and a large 1st floor King bedroom/bathroom for the grandparents or anyone that may have trouble climbing stairs! For families with small children and babies, we provide a full sized baby crib that resides in its own baby room inside the Primary Master Suite. We also provide a pack-and-play, high-chair, 2 toddler booster seats, baby walker seat, umbrella stroller, and kid's pool / beach play toys free to charge! Even though this home has 5 bedrooms, it is perfect for groups between 4 and 14, and we generally offer special discounts to smaller groups! This NEW $1.7+ Million luxury home was carefully designed to exceed the expectations of the most discriminate vacationing family yet was also designed to accommodate the most basic needs of a mother with small children, and is therefore perfect for those desiring to generate lasting family memories! 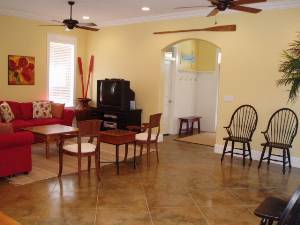 Our home is also a short walk to 2 very fun family appropriate beach restaurants / beach bars that offer open air seating and beautiful views of the gulf and sand! Both are perfect for drinks, lunch or dinner. Additionally, there is a nice ice cream/sandwich shop less than 1 minute from the back of our home that is a favorite destination for our kid's after dinner! Approximately 2 blocks to the east is a gourmet coffee shop that also serves breakfast and lunch sandwiches, and there is a great family style pizza parlor that has video games and a juke box! 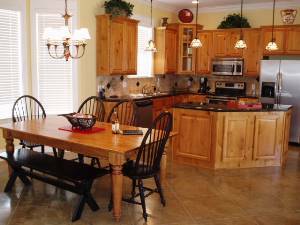 In addition to the local amenities within walking distance, we are less than a 5 minute drive to countless other restaurants, shopping malls, movie theaters, grocery stores, amusement parks, golfing, fishing, etc. The home boasts 4300 square feet of luxury living space including 900 square feet of private balconies. The home also offers spectacular views of the Gulf, is located approximately 100 yards from the private beach, and is a one-of-a-kind custom Mediterranean style home with a rich stucco exterior and custom tile roof! For families with small children and babies, we provide a full sized baby crib that resides in its own baby room inside the Primary Master Suite. We also provide a pack-and-play, high-chair, 2 toddler booster seats, baby walker, umbrella stroller and kid's pool / beach play toys free to charge! The yard is truly an oasis and includes a spectacular one-of-a-kind large PRIVATE swimming pool (12'W x 24'L) PLUS a shallow kids pool area (7'W x 9'L) that is only 16" deep and is a perfect play area for toddlers and young kids! While the big kids swim at the deeper end of pool and the small kids splash in the shallow kids area, the adults can relax on the Lounge Deck "INSIDE" the pool that also can accommodate 1 or 2 full-size lounge chairs for sunbathing without leaving the cool waters of the pool! Adjacent to the pools lounge deck is also a large sunbathing area on the pool deck, an outside shower, a large covered porch that overlooks the pool, and a professionally landscaped yard! The 1st FLOOR of the home boasts 10 foot ceilings, a fully stocked gourmet kitchen with granite countertops, stainless steel appliances, and a spacious open floor plan that includes a large dining area that can accommodate up to 10 at a time, and a large living room that includes a large TV with Digital Cable, DVD and surround sound entertainment. The 1st floor also includes a large front bedroom with a king-size bed and attached bathroom and walk-in closet (This bedroom is perfect for those older residents or those that have trouble climbing stairs!). The 1st floor also includes a laundry room with washer, dryer and laundry sink, a mud room decorated with white bead board and shelves. The 2ndD FLOOR boasts 10 foot ceilings, a HUGE primary Master Bedroom and Bathroom Suite that includes a king-size bed, private sitting area, TV/DVD/Phone/alarm clock, three closets, a large private balcony with spectacular views of the Gulf and Destin sunsets, double vanity sinks with custom limestone tops, a whirlpool tub, and a large stone and glass shower. The 2nd floor also includes two large kidï¿½s bedrooms that each has two sets of bunk beds (8 beds total) and a built-in dresser and TV/VCR alcove, and an adjacent kids bathroom with double vanity sinks and a tub/shower. 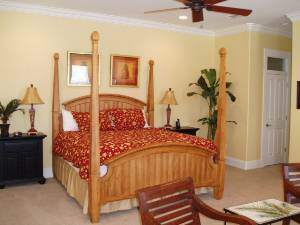 The 3rd FLOOR boasts 10+ foot vaulted ceilings and is the home of the Tower Master Bedroom and Bathroom Suite that includes a king-size bed, TV/DVD/phone/alarm clock, a large private balcony with the most spectacular views of the Gulf and the sunset in the home. The bathroom suite includes a walk-in closet, double vanity sinks with custom limestone tops, a whirlpool tub, and a large stone and glass shower. 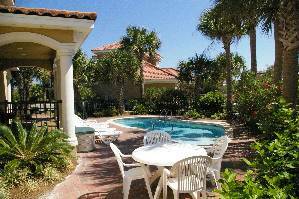 In addition to the world famous beaches, Destin also offers many wonderful beachside family restaurants that have open air gulf views, great sport fishing, world class golf courses, great shopping at one of many new malls, and family activities galore at one of Destin's many kids entertainment parks. Surround Sound and outdoor speakers by the pool! Private Pool w/ Shallow Kid's Play Area (only 16" deep)- Great for Toddlers! Comfortable living room with Cable TV and surround sound. Primary Master Suite Bedroom on the second floor. 2nd Master Suite Bedroom on the third floor. 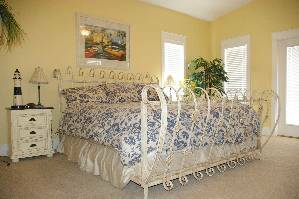 3rd King Bedroom / Bathroom on the first floor is perfect for the Grandparents or anyone that does not want to use the stairs. Now offering a $500 DISCOUNT off LATE SUMMER weeks between 8/20 - 9/10 and a $250 DISCOUNT off FALL weeks between 9/17 - 10/29 if you book in the next 2 weeks! The Late Summer and Fall offer the BEST VALUES of the year since you get GREAT BEACH WEATHER, MUCH LOWER RATES, and MUCH SMALLER CROWDS! We love the FALL in Destin so much that we take our 3 kids out of school every year to do down in Sept or Oct - trust me it is well worth it! Please call Craig at 314-503-7721anytime day or evening if you have any questions about our family's vacation home or if you would like to reserve a week! Rates do not incl. sales tax, cleaning fee and deposit. *Holiday weeks = $500 premium over std rates. Deposit: Refundable damage deposit required. 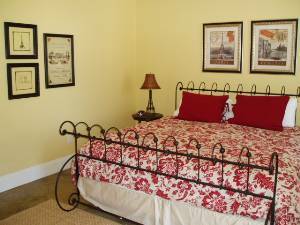 Rental rates do not include cleaning fee, pool heating and tax. Cancellations and Refunds: Now offering a $500 DISCOUNT off LATE SUMMER weeks between 8/20 - 9/10 and a $250 DISCOUNT off FALL weeks between 9/17 - 10/29 if you book in the next 2 weeks! The Late Summer and Fall offer the BEST VALUES of the year since you get GREAT BEACH WEATHER, MUCH LOWER RATES, and MUCH SMALLER CROWDS! We love the FALL in Destin so much that we take our 3 kids out of school every year to do down in Sept or Oct - trust me it is well worth it! Please call Craig at 314-503-7721anytime day or evening if you have any questions about our family's vacation home or if you would like to reserve a week! Other Fees: *Holiday weeks = Standard rate + $500 additional fee. 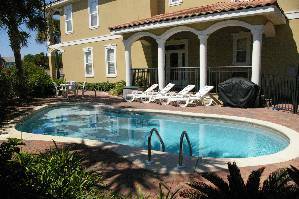 Rental rates do not include cleaning fee, pool heating and tax.